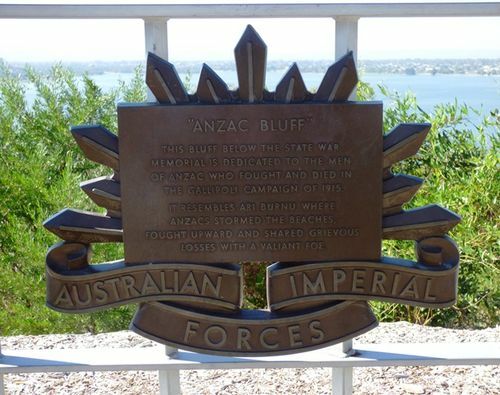 A plaque commemorates the 2500 men of the Australian and New Zealand Army Corps known as ANZAC, who lost their lives in the Gallipoli campaign of 1915. The area below the Cenotaph was renamed Anzac Bluff in 1974 as it resembles the site where the soldiers first landed at Gallipoli. The Gallipoli Campaign of 1915. Grievous Losses With A Valiant Foe.